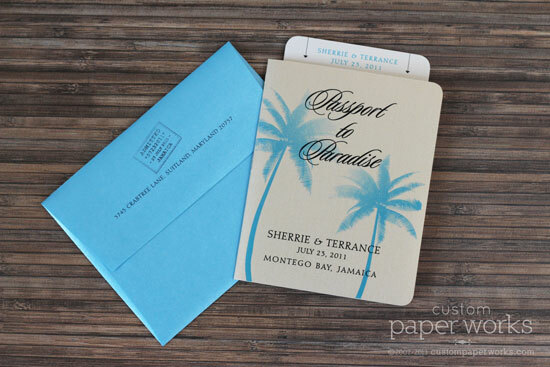 Sherrie liked the overall look of these Starfish Passports, including the pocket in back, and the palm tree motif from these invitations. 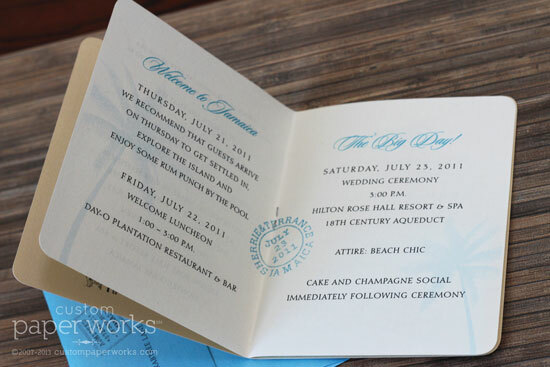 She also wanted to use a post card rsvp card instead of one with an envelope, so the boarding pass is a bit taller. 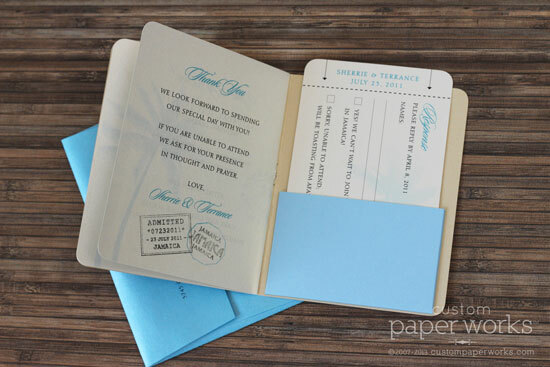 And of course she selected colors to coordinate with her wedding. 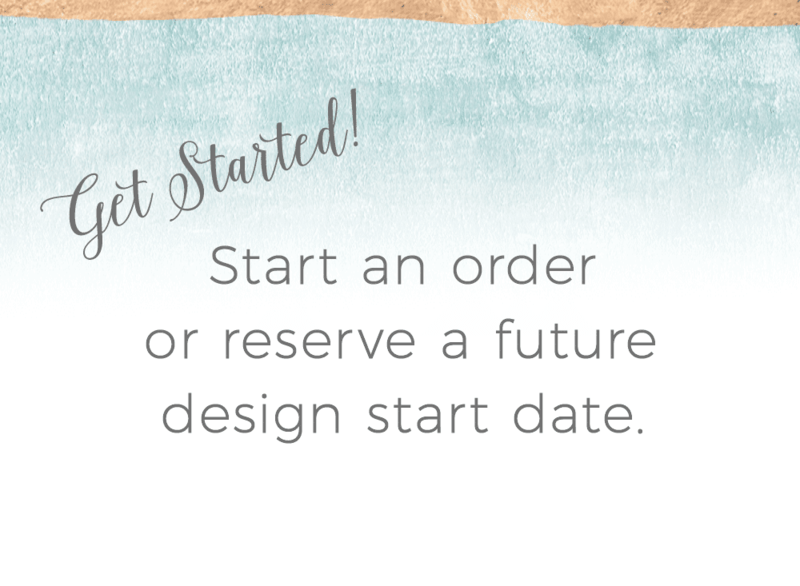 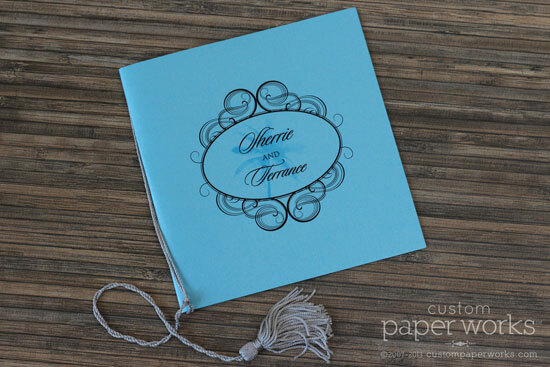 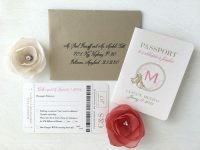 Remember you are not limited to the exact colors or designs shown on our website – all invitations are custom-designed and made to order – so the possibilities are nearly endless. 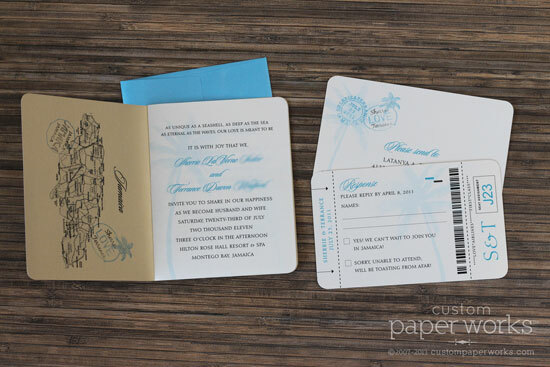 Also she loved the format of these programs, so I designed a new emblem and incorporated the palm tree. 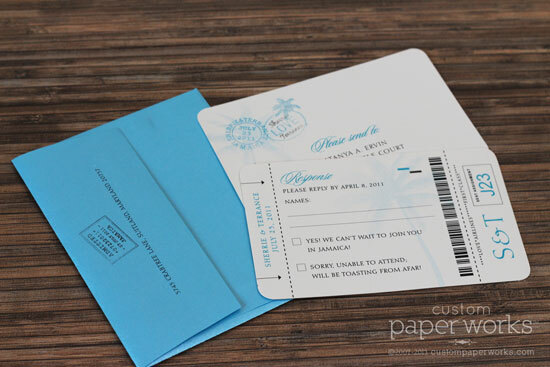 The extra-long tassels allow them to hang from chairs at the ceremony of their Montego Bay, Jamaica wedding.